Learning on Localizing: Our new Learning Module 2 “Territorial Planning to achieve the SDGs” is available now! It has been two years since UCLG started work based on the “Training of Trainers” (ToT) approach to SDG localization. Through the ToT approach, territorial realities are put at the centre of the debate when discussing the localization of the SDGs. This process has enabled UCLG to gather local knowledge and raise awareness on the relevant role of local and regional governments, and their associations, in order to achieve the 2030 Agenda. The different outcomes of this process have nurtured UCLG advocacy efforts to further adapt the Global Agendas to local and regional realities and actions. The Learning Modules are a result of a joint initiative of UCLG, the Global Taskforce, UN-Habitat and UNDP-Art, with the support of the Barcelona Provincial Council and the European Union. Module 2 aims to stimulate a reflection on how the SDGs and the principles of the 2030 Agenda can be integrated into local development planning exercises. The goal is to inform how SDGs can be instrumental to improve local development planning processes and, consequently, how local development planning can become a key driver for achieving the SDGs at all levels.This new Module counts with a series of interactive exercises that enable trainers to plan and conduct workshops based on an active learning experience that fosters knowledge sharing. Many new exercises are available in this new module, like: “the policy wheel”, “Global goals and local competences”, and “The Square: Applying the SDG Principles”. In order to test and fine-tune all new exercises, the module was piloted in 3 learning events before its launch. The first training was organized in Mindelo, Cape Verde, on 17th October 2018, gathering local governments from all over the country. 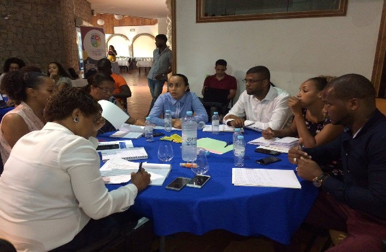 The one-day workshop was led and introduced by UNDP, together with the National Association of Municipalities of Cape Verde and the Brazilian National Confederation of Municipalities (members and partners of UCLG, as well as of UNDP). The workshop also counted on the presence of the Association of Cities of Pernambuco (Brazil), the Andalusian Fund of Municipalities for International Solidarity (FAMSI) and the Guinean Association of Cities. As a part of the “training of trainers” principle, many of the municipal leaders involved had already participated in a workshop based on Module 1, in October 2017. This pilot session focused on the possibility to discuss and reflect on the distribution of competences among different levels of government, and to nurture the reform process with concrete ideas that focus on problem solving and sustainable development, making the alignment visible and lessons learnt in real time. 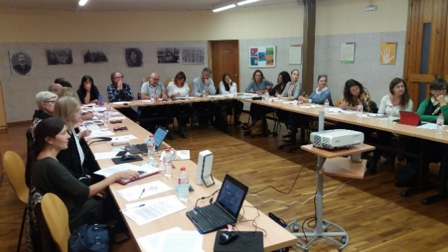 The second pilot activity took place on 18th October 2018, in Lleida (Spain). The two-day event organized by the International Association of Educating Cities provided the opportunity to test some of the exercises of the new Module 2. These sessions counted on the presence of over 20 municipalities, gathered by the International Association of Educating Cities (also a member of UCLG). The UCLG Learning Team supported the workshop providing a short training on the alignment of public policies with the SDGs, and contributed to the co-creation of a common understanding and a roadmap for further action of the SDG activities group. The process revealed the importance of the participation of communities and volunteers, in particular teachers, social workers and youth groups, when it comes to sustainability campaigns and activities. Furthermore, the participants shared valuable feedback on the module and highlighted its value in relation to civic education. 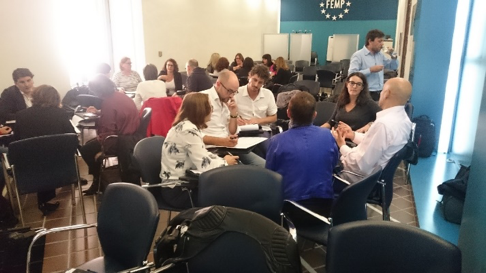 The third activity was hosted by the Federation of Spanish Municipalities and Regions (FEMP) in Madrid, on 24th-25th October 2018. It gathered over 30 municipal technicians and leaders. The participants came from a diverse range of areas and backgrounds, all interested and motivated to connect their municipal agendas to the SDGs. Many of the participants shared their practices of awareness-raising during the interactive sessions. Furthermore, the participants showed concrete and recent examples of SDG alignment regarding the national regulation and budget lines. The Catholic University of Lisbon, for example, presented the experiences of 21 Portuguese cities that aligned the SDGs to municipal actions, budget and indicators. José Manuel Peña, in representation of the city of La Coruña, pointed out how the new module could help to create a better understanding of the alignment of local plans to Global Agendas such as the SDGs. According to him, good local plans present an opportunity to integrate global and national agendas in the planning cycle of a city and allocate a budget to them.All actors involved in the creation of the Module 2 deeply appreciate the participation and feedback from all participants in the different pilot workshops. All actors involved in the creation of Module 2 deeply appreciate the participation and feedback from all participants in the different pilot workshops. The interest shown in this process became one more reason to work together in the localization of the Global Agendas, by providing information, tools and methodologies that can be further implemented and disseminated by all.